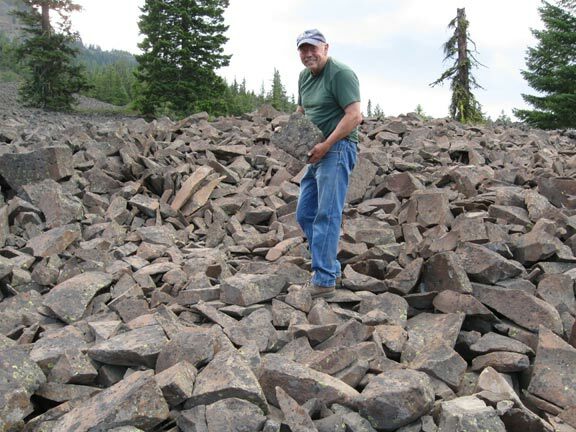 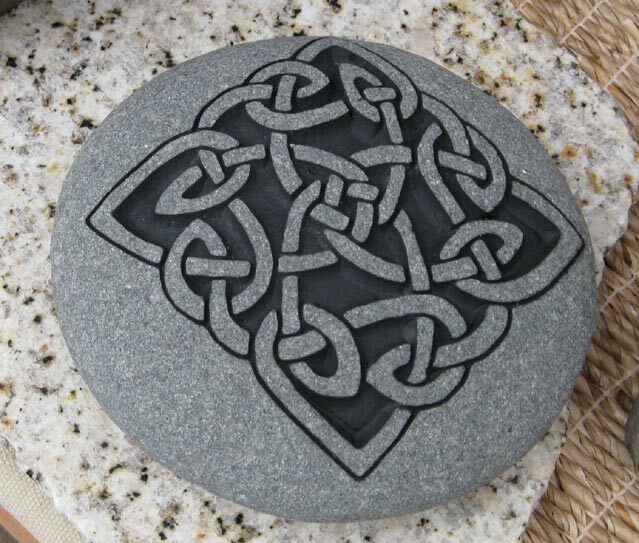 A good deal of time is spent gathering the stones used in our work. 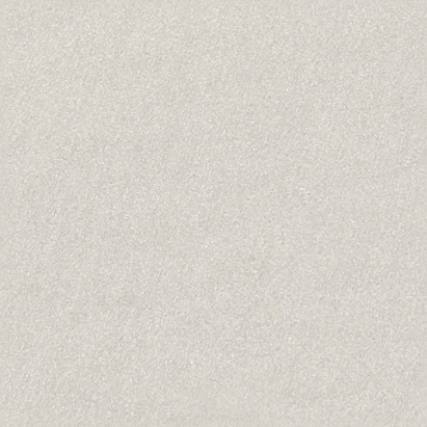 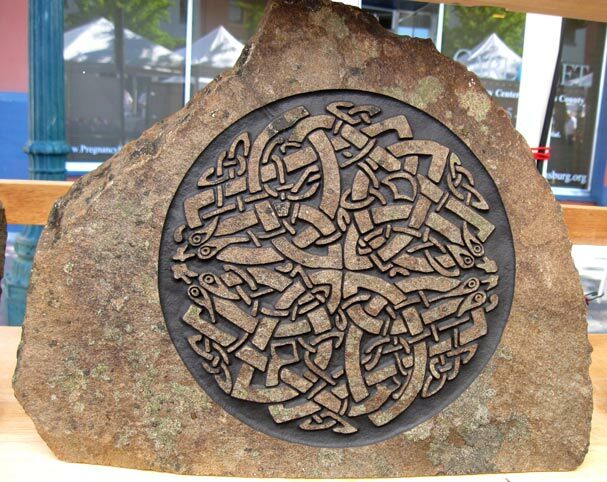 Each piece is selected for quality of surface, shape, and overall attractiveness. 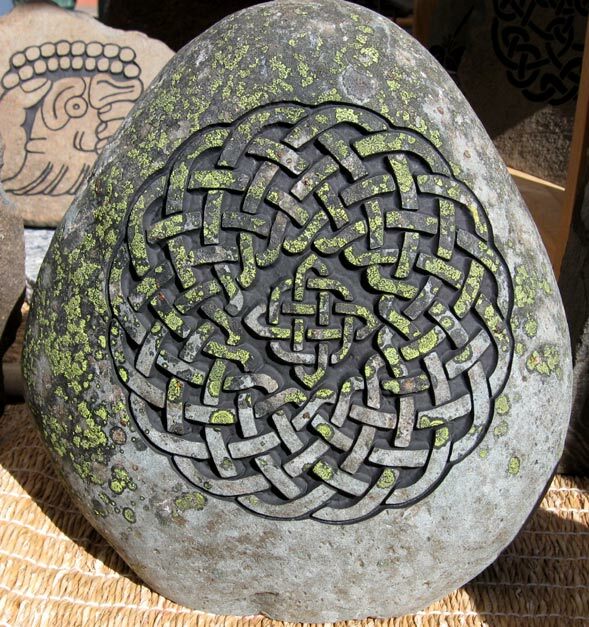 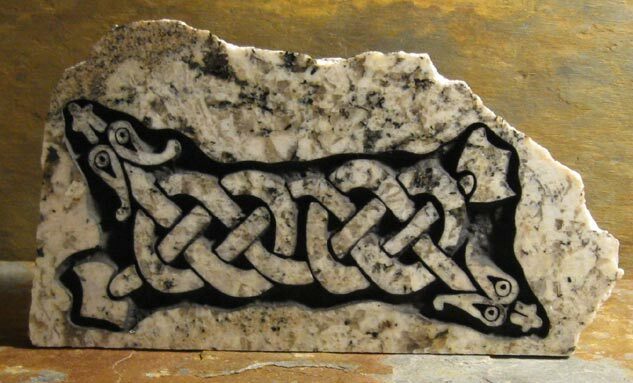 We're always on the lookout for outstanding lichen covered rocks that work especially well with Norse and Celtic designs. 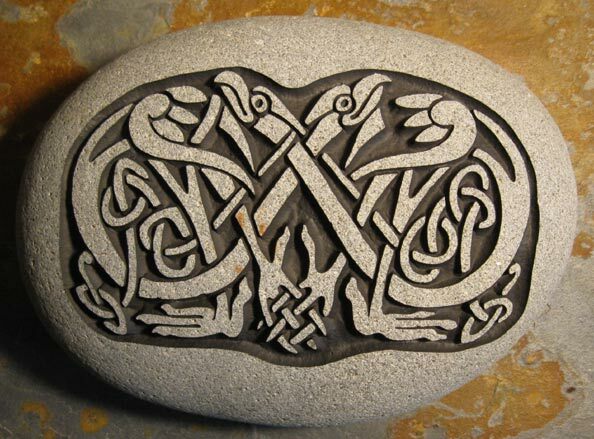 This living surface is carefully protected during the carving process and should continue to flourish for many years to come. 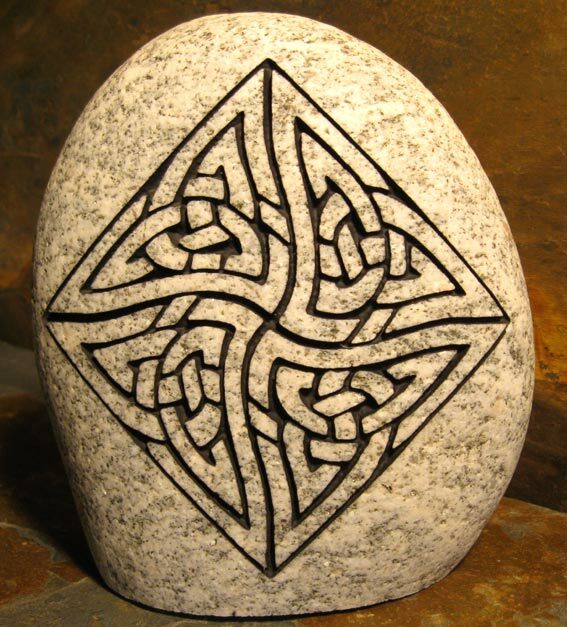 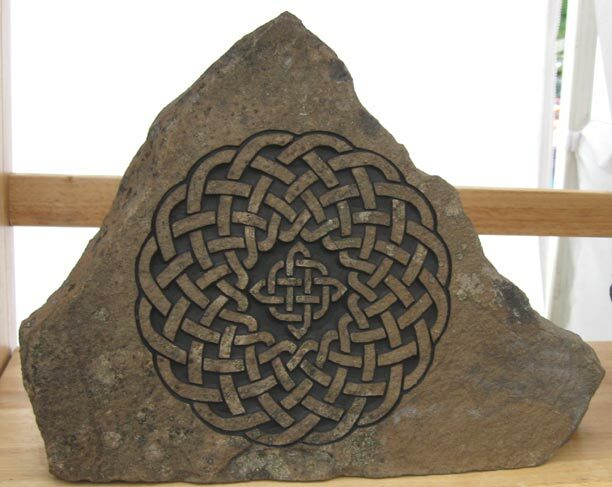 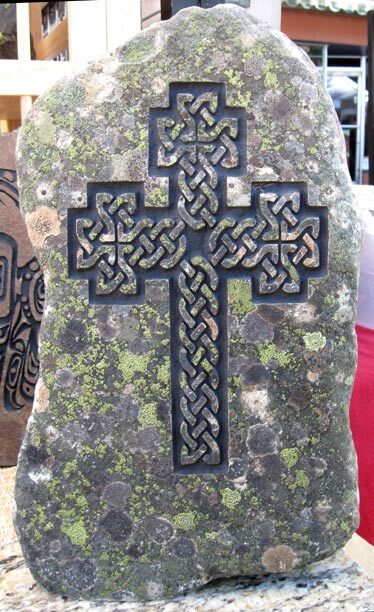 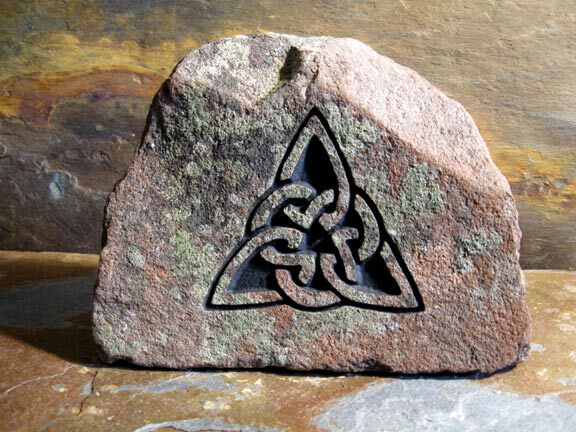 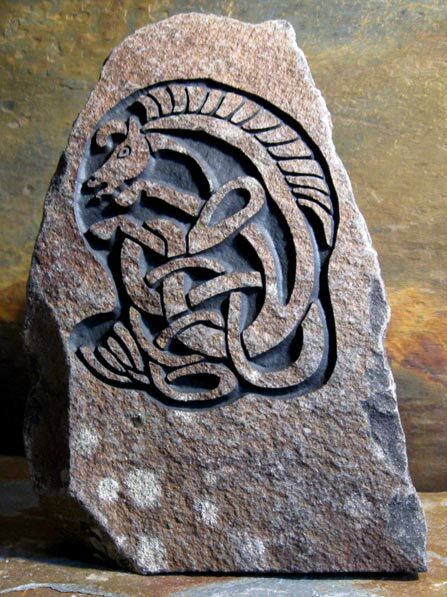 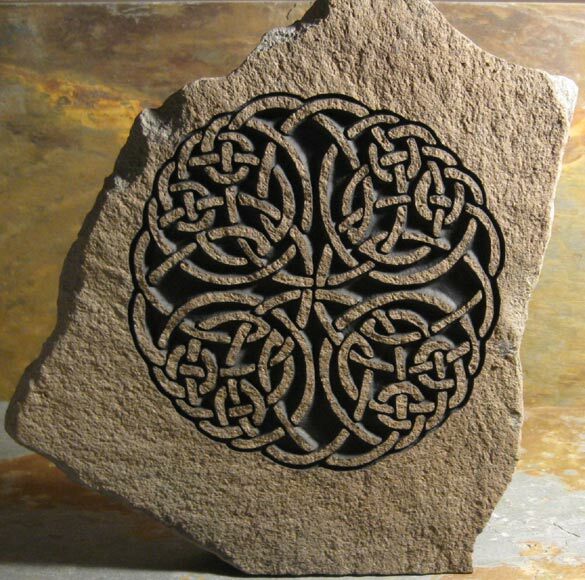 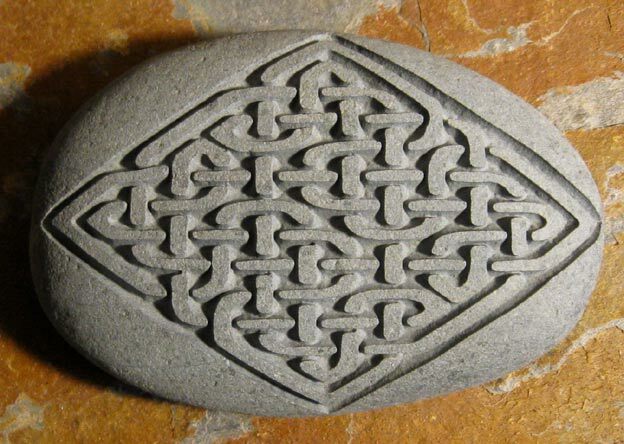 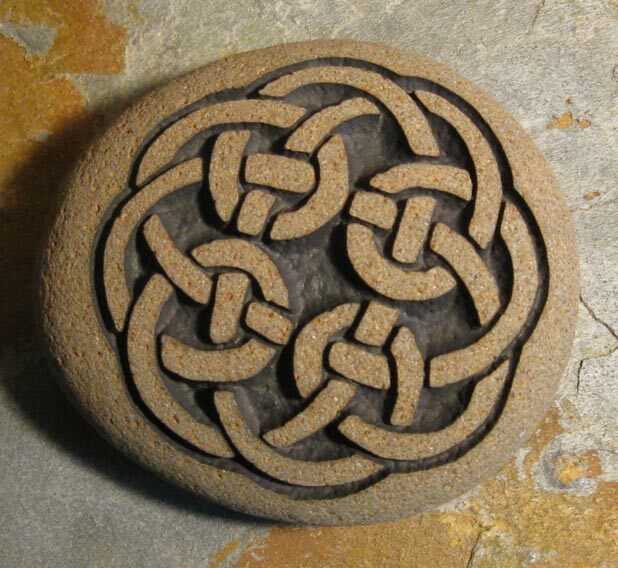 We engrave a wide variety of CELTIC designs from the very simple to the highly complex. 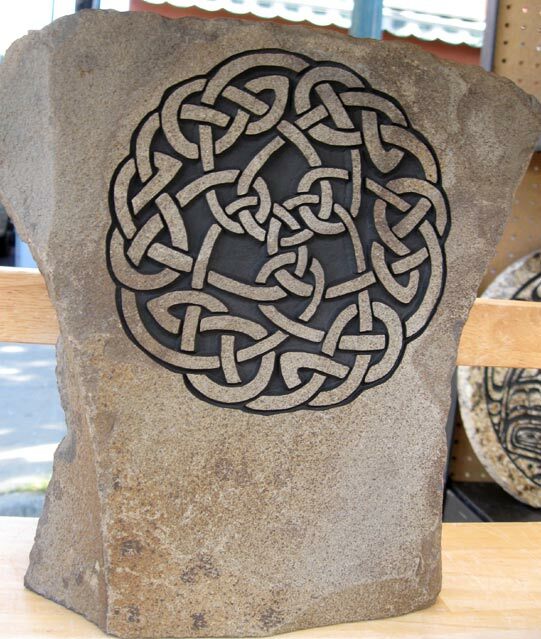 The amount of time and effort put into these knotwork pieces is HUGE...but absolutely worth it!